City Interactive are bringing the fight to your console this February. Which fight exactly? Why, the air war in World War 2. 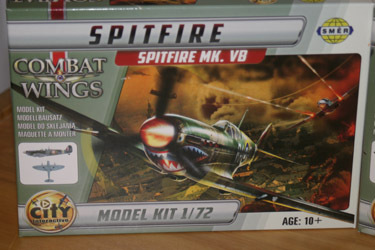 Specifically Combat Wings: The Great Battles of World War II. 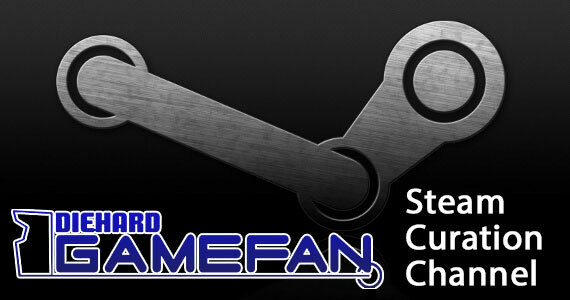 The game which is expected to hit all the fashionable consoles, will feature action packed air combat filled missions. The PlayStation 3 version of the game will include Move interactivity, which could be interesting. Move controller as a flight stick perhaps? 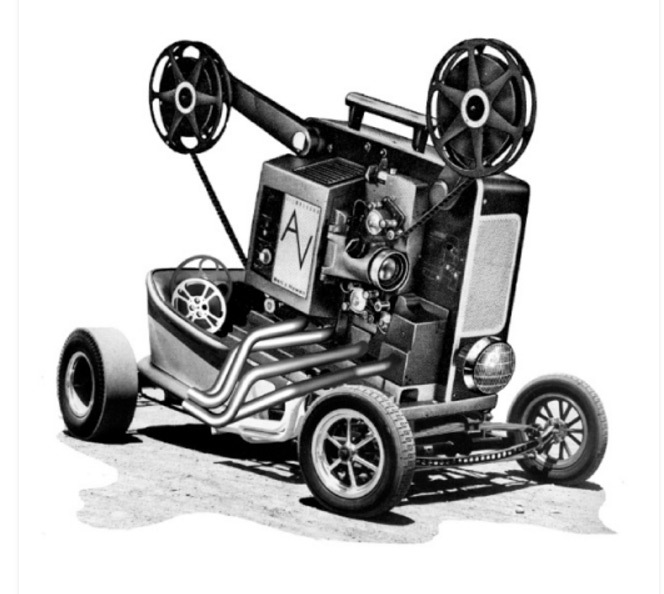 I’ll be looking forward to this one when it is supposed to ship on February 7, 2012. 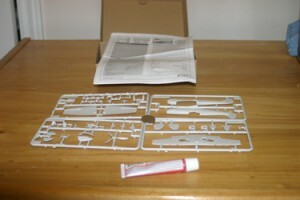 In advance of the game coming out they sent some model kits out to us here at DHGF. 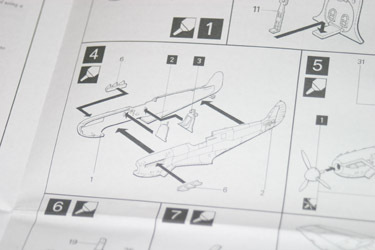 I used to build models, terribly, and that volunteered me to build them and write about my experience doing so. Also terribly. Fortunately for you I took some pictures on my journey. 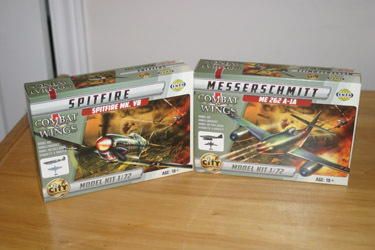 They sent along two model kits, an RAF Spitfire and a German Messerschmidt 262. 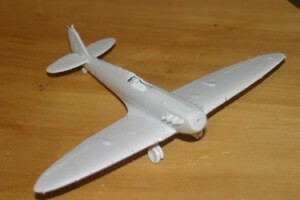 I chose to start with the Spitfire, since I had built a few of them in my time oh so long ago. It had the feeling of comfort and nostalgia associated with it. This was not the biggest model kit in the world. 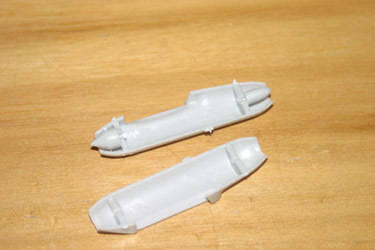 In fact both kits were on the small side, 1/72 scale. Above you can see a the entire kit still on the rack it came in, and a quarter sitting in the middle to give you an idea. 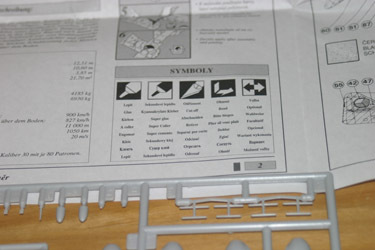 Above you see an example of the instructions. 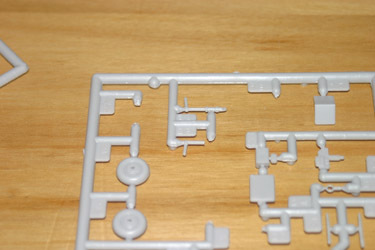 The build progressed rather smoothly, except for a few minor issues. You’ll notice that I didn’t paint either of the models before taking them off the rack, as is usually recommended. This was due to a lack of time and the incredible awkwardness of Hobby Shops in my area taking weekends off to do things like play with their toys. The nerve I tell you. Here we see the assembly line progressing fairly smoothly. 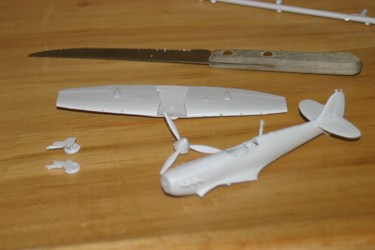 Wings are mostly built, propeller is ready to be installed, and wheels are mostly the way the designers intended them to be. 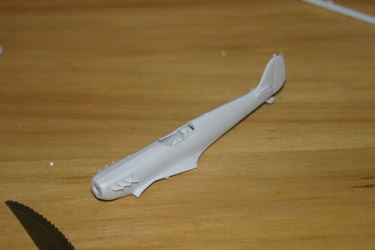 Now we’ve mounted the wings to the fuselage and it’s starting to look like a plane! A ghost plane but a plane none the less! Here we have the almost finished product. 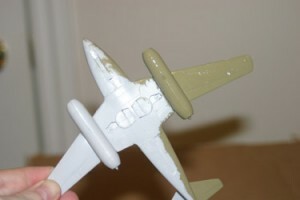 The propeller has not yet been mounted at this point as I wanted the glue holding the piece which holds it to dry some more. The cockpit glass has not been put on because I’ll be painting soon and I hate to ruin a good model with caffinated paint marks. 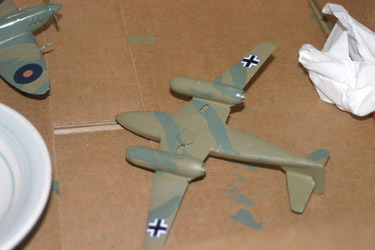 At this point I switched over to the ME 262 as I was forced to wait on my local Hobby Store to open before I could get some paint. It’s odd, models used to be gray when I grew up, and I never had a problem leaving them that color if it suited, but a white model just looks desperate without paint, and so I decided I would inflict some paint on them. The infamous ME 262, the first jet fighter to see combat. I thought this would be an easier build, but as you’ll see I was mistaken. Here you see the model still in it’s plastic wrapping. 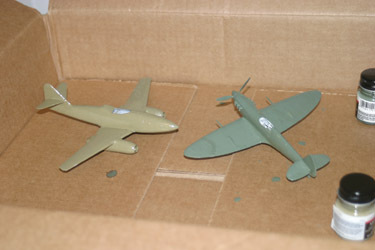 I must confess I don’t remember my models coming in anything so organized as this plastic bag that both the Spitfire and ME 262 did. It takes away the fear that some parts might have escaped somehow. That’s a glimpse of the instructions on how to read the instructions. English was second from the top, but not always, causing some confusion. Now we run into our first bit of trouble. 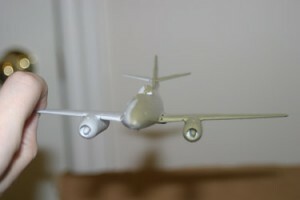 Both models started you off with the smaller items, like the cockpit interiors and building the landing gear so that it could be mounted to the fuselage of the plane later. Unfortunately, with a 1/72 scale model if you are at all clumsy or impatient you might find yourself destroying something as fine and delicate as a landing strut, as I did. You can see here where the crime was committed. 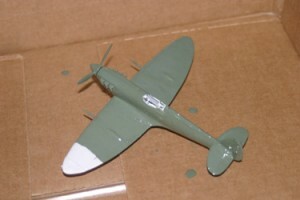 The Spitfire’s landing gear wasn’t without issue either. 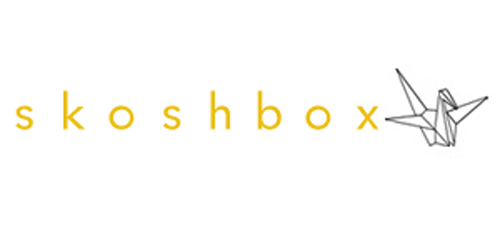 though I was able to make that look relatively close to how it was meant. But here I would be unable to have the plane in a landing position. Despite the setback I moved on with the build. Here is one of the jet engines about to be assembled. And here we see the assembled engine mounted onto an assembled wing. 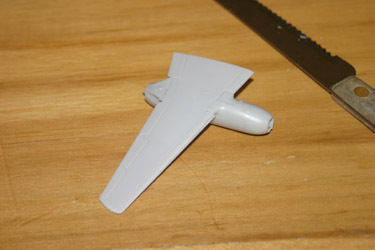 More of the wing assembly. I had some problems mounting the full wing assembly onto the fuselage of the plane. 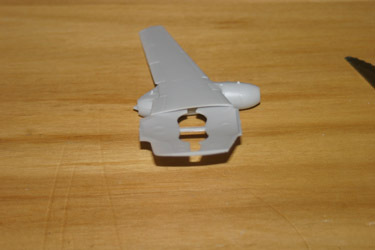 The bottom piece appeared to be too big for the fuselage. 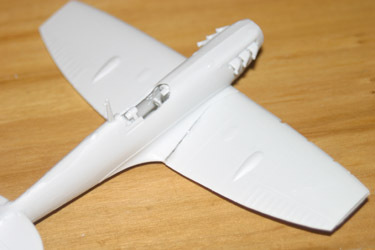 However, with a little elbow grease and a desire to not embarrass myself on the net, I managed to mount the wings to the fuselage, in what appears to be the correct fashion. Mostly. 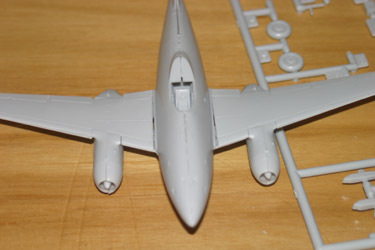 As you can see there are gaps where the wings meet the fuselage, but trust me it looks far better than it would have. Here we have the underside of the now almost completed model. Here you can see the emergency surgery I had to complete on the plane to make it look like it’s in flight instead of sitting on the ground. I cut the wheel covers as they would not fit naturally into their slots, and glued them to the wheels. These I then glued into the plane itself. This doesn’t look the best, but I think it still looks better than no wheels at all. The nose gear, which I hadn’t butchered, was glued into its natural resting spot and I then used the wheel well covers which fit quite nicely to finish it off. 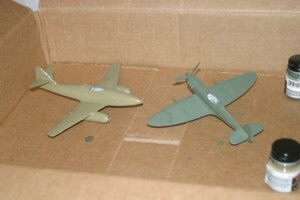 Here we have both models fresh from the assembly line and awaiting entry to the paint shop. 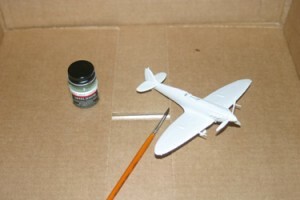 Again I started with the Spitfire. I chose a darker green to use as the first color of my two tone camouflage motif. Here we see the downside to not painting everything before assembly. 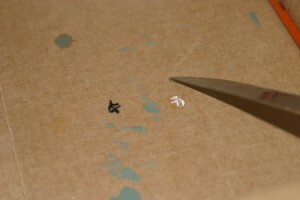 The big white spot there is where my fingers were holding the plane as I maneuvered the paintbrush over the rest of it. Upon finishing the first coat of paint on the Spitfire I went straight to work on the ME 262. 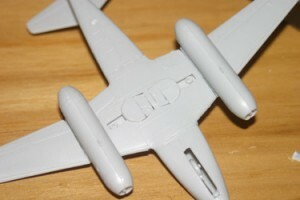 I had chosen a lighter green to be the primary color for this plane. 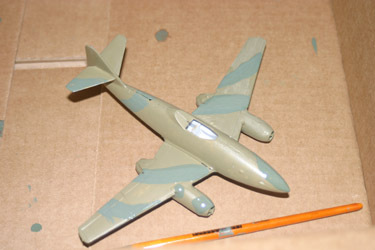 Here you have a frontal view of the half painted jet. And here now are both planes while I sat and waited for the paint to dry. 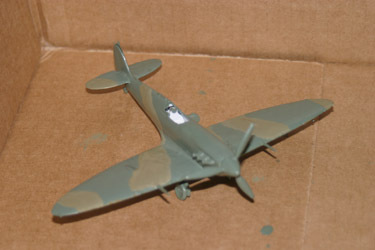 All I had left to do was add the camouflage, add the decals and finish the cockpits! 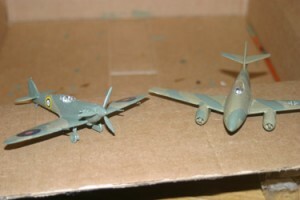 Here we see the two planes with their camouflage stripes added. 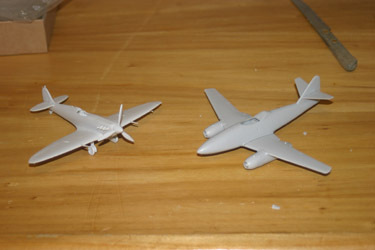 Now it’s just time to add decals and give them some glass! Decals are a tricky thing. They either work for me or they die horribly. 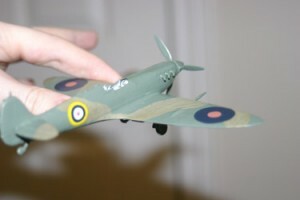 I started off pretty well with the Spitfire. So far so good! But alas, I was getting cocky. 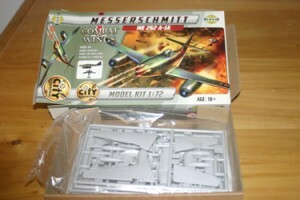 I moved on to the ME 262. NOOOO. Horrid horrid death. Soon followed by a realisation that I’ve been doing decals wrong all these years! 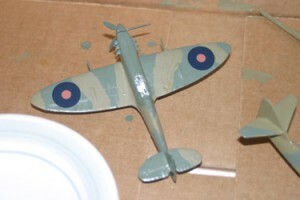 Wet the paper until the decal is coming off, then apply paper to model. Slide paper off, decal stays on. NOOOOOO. Oh well, the end result still looked pretty good I’d say.